Professional Die Cast Manufacturing - Quality Service Since 1953. 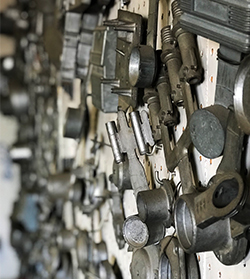 Anderson Die Casting is a locally owned company that provides quality custom castings to clients in the United States and Canada. We will work with you to design and manufacture your products resulting in the highest quality at the most competitive price. Our staff averages more than a decade in the industry bringing the best in experience and service to our work. Through our focus on continuous improvement, we maintain the highest standards for customer satisfaction, employee safety and pollution prevention. Give us a call at 303.722.7166 to find out how we can help your company be more successful.